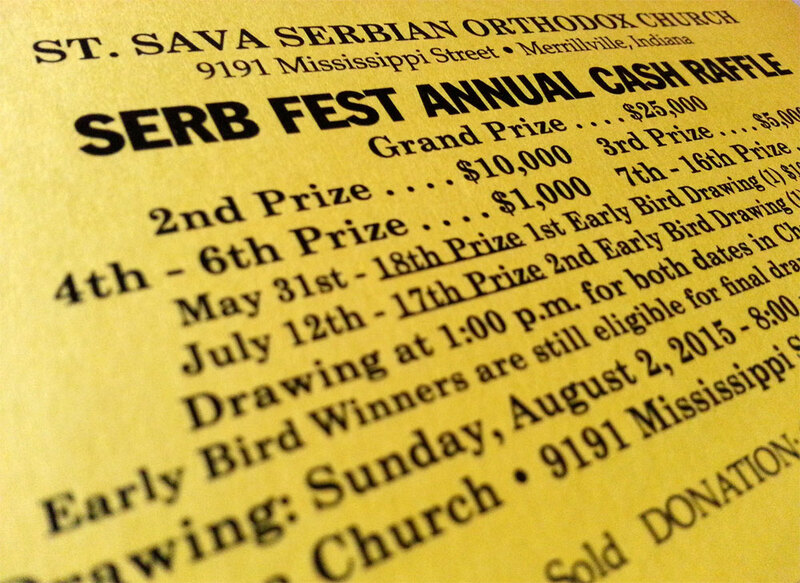 St. Sava Serb Fest 2015 begins tomorrow and the remaining raffle tickets will be available during the fest before the drawing, while supplies last. 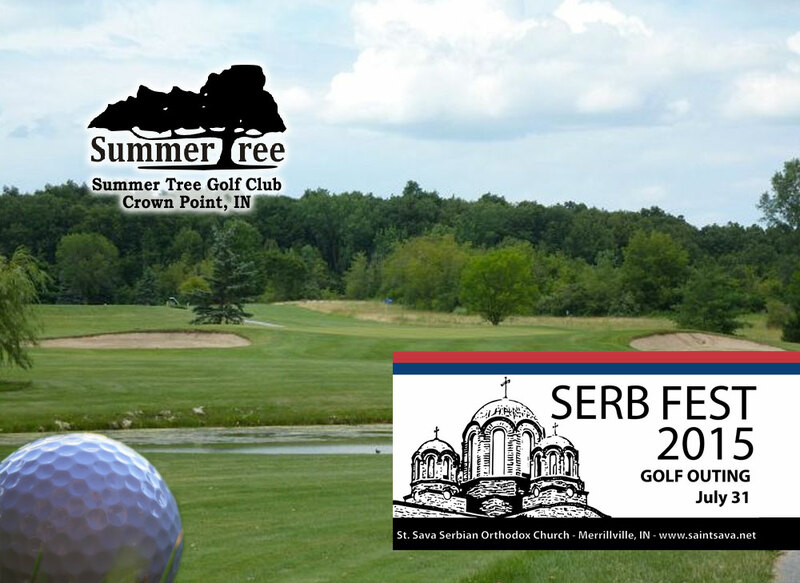 There are only 1,000 tickets sold for the entire raffle, so act as soon as possible to secure your ticket by contacting Mike Jaksich at 219-880-6307, David Gerbick at 219-588-3604, or the Church Office at 219-736-9191. Before the fest is over, 16 lucky winners will be chosen as cash raffle winners, with one taking home the Grand Prize of $25,000. Tickets are a $100 donation and the winner need not be present.